So often people say that most unusual meat (and other undefinable fleshy food) tastes like chicken, well maybe not survival expert Bear Grylls but that’s because he has eaten the most inedible things on the planet. However aside from these taste affiliations, chicken is one of the most widely used protein’s (as they love saying on either Top Chef or Masterchef) across the world and provides the base to many a great recipe. Sure there are multiple uses for chickens like; eggs, pets, fighting or even used in Indonesia to channel evil spirits. 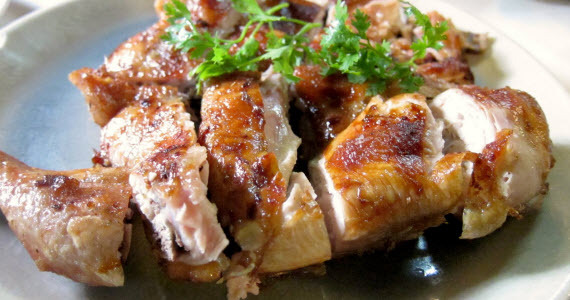 But the plethora of poultry recipes available is something that any real food lover should spend time working through and refining That’s where we come in, we are about to narrow down your initial decision making and give you the best chicken recipes so you can at least begin your culinary journey on the right foot. Now you don’t have to worry, these chicken recipes have been researched based on quality, bold flavours and robust ingredients. So essentially what we are trying to say is that we went into this not looking for finicky, and delicate Michelin star recipes but chicken meals you can re-create at home in your very own kitchen.